The novels based on newspapers continue to roll in and the list is now updated. Revel Barker, who republishes the excellent Waterhouse on style this Friday (see my last entry), has drawn my attention to his very useful Books About Journalism website. Although not all novels, there are some real gems here including books by former Mirror greats Cassandra and Hugh Cudlipp. There are also regular reviews on Gentlemen Ranters which bills itself as the last pub in Fleet Street and is certainly worth a visit. 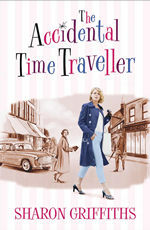 On the novels front, Craig Lewis recommends According to Bella by Milton Keynes Citizen journalist Sally Murrer and Philip Young asks how I could have missed the Accidental Time Traveller by my former Northern Echo colleague Sharon Griffiths. He cites his favourite as My Turn To Make The Tea by Monica Dickens which is reviewed on his blog Scoop! Journalists in Fiction. Looks like next summer's reading is well and truly sorted. Why do some stories, captions and headlines have it and others not? It would be fruitless to try to define it – as Fats Waller said when asked for a definition of jazz, ‘Lady, if you have to ask, I can’t tell you.’ Obviously it demands flair, plus professionalism – two commodities that have never been in short supply in popular journalism. It demands experience, a quality that may be taken for granted in Fleet Street. For the rest, it consists simply of choosing a handful of words from the half a million or so samples available, and arranging them in the best order. Many of you who have been on my courses will recognise this extract from the late Keith Waterhouse's classic but out-of-print book Newspaper Style. I have long referred to my dog-eared old edition when talking about language to journalists and it has been a frustration that they have not been able to get hold of their own copy. Well, from this Friday they will be able to. Waterhouse on Newspaper Style is being republished by Revel Barker at £9.99 and is available from Book Depository, or amazon or Waterstones, or on order from any half-decent bookshop. There are full details and reviews on the excellent Gentleman Ranters website. It really is the most entertaining manual on journalese and a must-have book for any journalist. 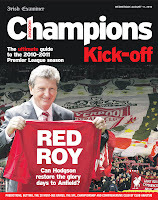 If you haven't got a copy, and even if you have, get your order in. Mine already is. Here is a worrying typographical development - a comparison of fonts and how much ink they use. It works by using Arial as the base at 100% and gives a bigger or smaller percentage to other fonts. Why worrying? Times Roman comes in at 71% ... one of the most economic. Having spend much of my life successfully persuading newspapers to stop using Times as their body copy, what's the betting that men in suits will now decide it is the best face after all? Times uses less ink because it has a small x-height and it has upstrokes and downstrokes too thin, at smaller sizes, for the ink to cling on to - certainly on newsprint. Less ink often just means less legibility. If you are faced with a manager who suddenly becomes a typographic expert overnight, explain that there is only one serif on the list and that your Nimrod/ Clarion/Gulliver/Miller /Poynter or whatever actually uses even less ink. A total lie of course ... but I can guarantee he won't know. The list of recommended novels based on newspapers is growing like topsy. Thanks to Terry Ramsey, formerly of The Northern Echo and Evening Standard, for his excellent list. Terry writes: "I can't pretend to have read them all, but it makes a pretty decent reading list for a prolonged holiday (or freelancing, as I prefer to call it)". 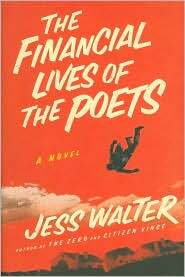 David Kernek has also added to his original suggestions with this email: "I can also recommend The Financial Lives of the Poets by Jess Walter (Penguin), in which the mismanagement and decline of regional newspapers is featured hilariously, along with the bastards who fucked the banking industry and the property markets. It's set in the States, but it - as they say - resonates here." Review here. 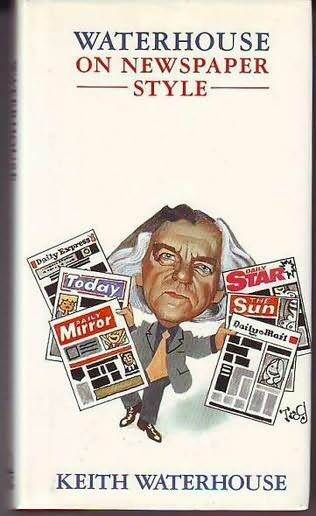 Mike Watson also recommends A Crooked Sixpence by Murray Sayle (good background at Gentleman Ranters). He says "GR is also currently recommending The Street of Disillusion by Harry Procter, but that's a memoir rather than a novel". Our full list is on our recommended reading page. Keep them coming. 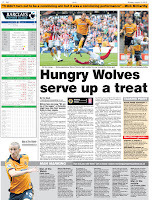 Privileged to help the The Express & Star and Shropshire Star launch their 16-page football supplement on Monday. 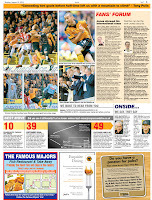 With five teams in the Premier League, the papers have cranked up their football coverage in both print and online. The coverage includes a fans' forum for each club, cross-reffing to further comments online; the key moments of each game accompanied by a chalkboard diagram; a talking point; a new column by Ron Atkinson; some offbeat/fanzine type features and comprehensive stats. Great fun to do and the result looks splendid. 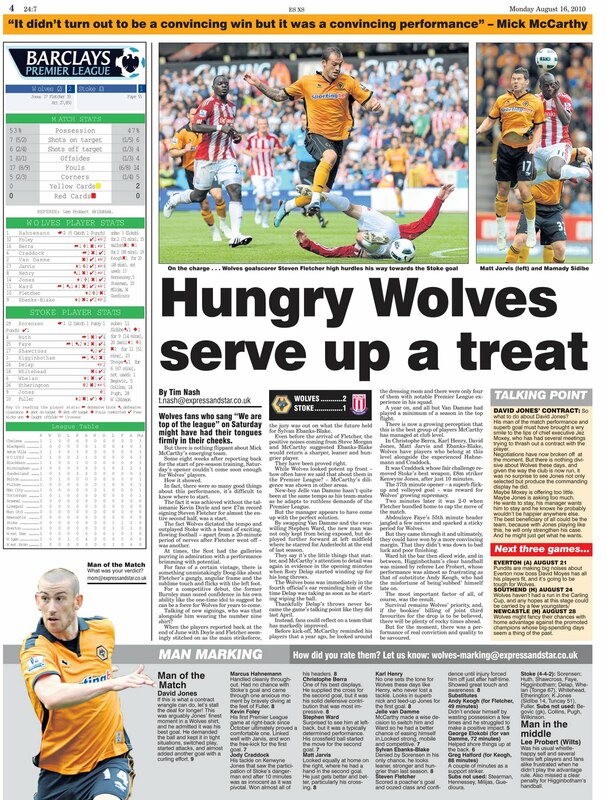 Editor of the Express & Star Adrian Faber dropped me and my colleague Mike Brough a note to say: "Supplement looks fantastic! Thanks for everything." No problem. ... we really enjoyed it. Further to my comments on the books by Tom Rachman and Brian Page, my old colleague David Kernek wrote to say how much he had enjoyed Brian's novel and that he would look up the Imperfectionists. 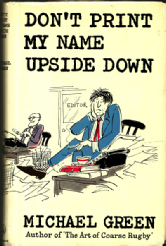 He added: "Other novels I'd rate as classics of the genre (apart from Scoop, of course) are Towards the End of Morning (Michael Frayn) and Don't Print My Name Upside Down (Michael Green) - both from the 60s." 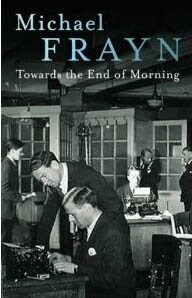 Towards the End of the Morning was one of the first books I read after becoming a journalist in the late 70s and it provided a warning that newspapers were not the glamorous place I then believed them to be. Will add the Michael Green book to my 'to do' to my list. Any others? Send me your recommendations and I will draw up a reading list. 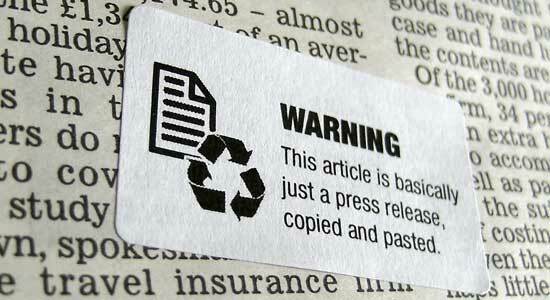 Here are some newspaper warning stickers created by comedian Tom Scott. 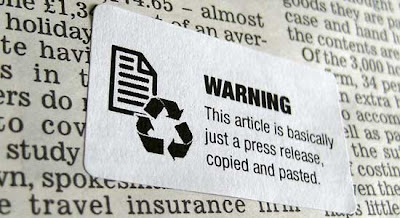 A useful tool for editors and subs sending copy back to reporters (in the offices where they still do that sort of thing). You can download the template here. 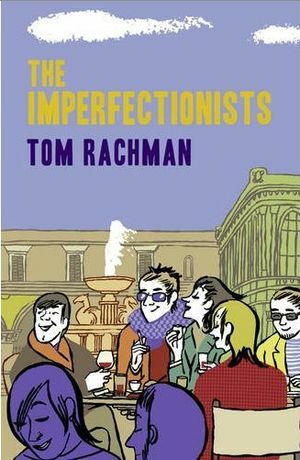 My summer reading included The Imperfectionists by Tom Rachman, former editor of the International Herald Tribune in Paris. The backdrop to his first novel is an English-language paper based in Rome. The good times are over, circulation is down and it has failed to move into the brave new digital world. The remote owners aren't in the least bit interested. 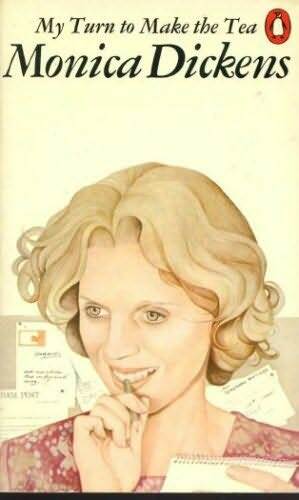 Each chapter looks at the frailties of one of the paper's characters - the has-been Paris correspondent, the pedantic corrections editor, the smart and cosmopolitan editor. As the paper falls apart, so do their lives. It is funny and just a bit close to home. If you work in newspapers, you will recognise the people and the scenario. It reminded me of the novel Still Lives, by my Northern Echo colleague Brian Page, which tracks the flawed lives of the characters on a 'fictitious' Northern newspaper, the Evening Leader. Also funny and, uncomfortably, even closer to home. Best newspaper office view in Britain? In the Highlands this week where I am working for Scottish Provincial Press, publishers of the Inverness Courier and Highland News among many others. Anyone who doubts the longevity of newspapers should take a look at some of these titles, covering every cough and splutter of their communities, and being rewarded with 80 per cent penetration. And for those of you labouring in a newspaper office on an out-of-town industrial estate, I thought you might like to see the view from editorial director David Bourn's window. David, former editor of the Evening News in Norwich and until two months ago the deputy editor of the Hull Daily Mail, now watches dolphins in the Moray Firth from his office or from the 'smoking balcony'. Can there be a better view from a newspaper office anywhere in Britain? If there is, please send me a picture. Back from my summer break (Rome, Menorca, the Camargue) and straight into producing a 40-page Kick-Off supplement for the Irish Examiner, published tomorrow. 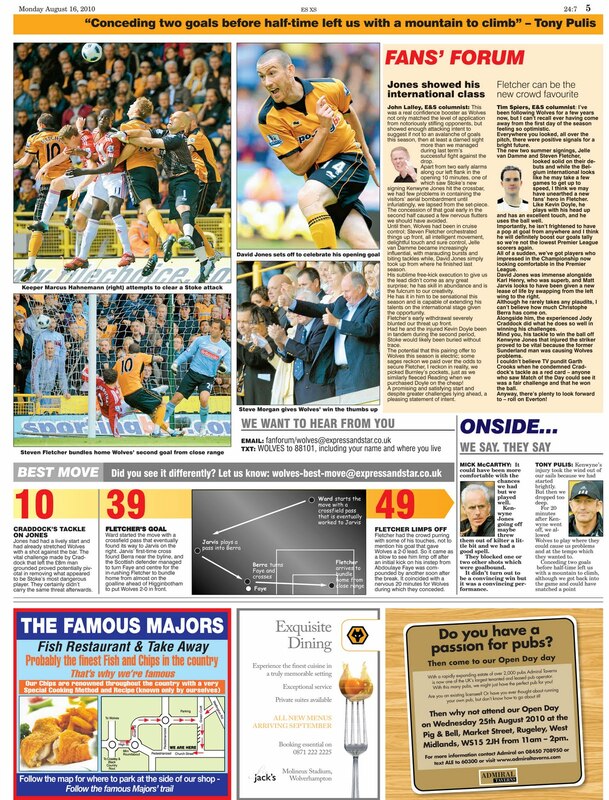 As soon as we pressed the button on the last page, Martin O'Neill resigned, and it all kicked off again. Good job all round ... especially by Alex Diaz and Paul Wick. 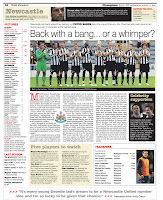 Here is the cover - and my take on Newcastle united's forthcoming season. Once again, great commitment from the Examiner to quality sports coverage.